Our following! Soon to be decreased. Our first processing date is set for broiler chickens. It’s this week! Spring chickens are here and available. 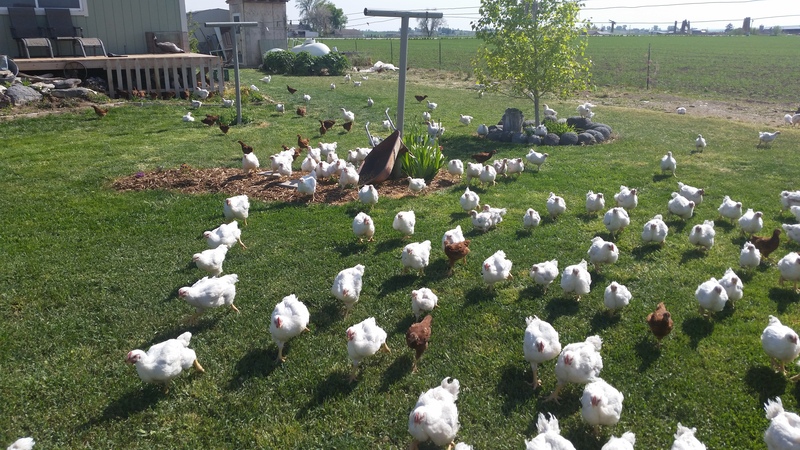 Our chickens are grass-fed, organic and have lots of room to move. Chicken dinner tonight? Contact us with to get your chicken and salad. One stop shopping and dinner is served.